TRAVEL.org - CENTRAL AMERICA. Find Hotels, Tours, and activities throughout the countries of Central America, El Salvador, Honduras, Panama, Nicaragua, Guatemala, Belize and Costa Rica. Latin America Synergy - South and Central America Travel Guide. Almond Beach at Jaguar Reef Lodge - Try a beachfront casita with private porch that overlooks the beach with an infiniti pool and hot tub! Belize by Naturalight is a smart, well-made site packed full of information. Don't miss the Virtual Guide. Amazing Costa Rica - The happiest place on earth. Best Costa Rica Resorts - Offers a guide to the top luxury boutique hotels in Costa Rica. Costa Rica Resorts - Offers information on luxury boutique and all-inclusive resorts in Costa Rica. Best Uvita Hotels - Find accommodations in the small town of Uvita, Puntarenas. This is the gateway to Marino Ballena National Park. Anywhere Costa Rica - Anywhere Costa Rica is a comprehensive resource and travel guide for Costa Rica. Tour Woo - The easiest most convenient way to book a tour in Costa Rica. Cost Rica Dream World Vacations - is a tour operator that offers vacation packages to Costa Rica. Other services offered are tours and activities, hotel reservations, transportation, vacation planning services, and more. Adventure Inn - Half way between San Jose and the airport. Rates include full breakfast, airport shuttle, free local and international calls, Wi-Fi, pool, Jacuzzi, and gym. Andaz Peninsula Papagayo - is a Hyatt resort located in Costa Rica featuring 154 luxury rooms, 21 suites and privileged views of the sea. Hotel Presidente - An iconic landmark in San Jose, Costa Rica, Hotel Presidente is a contemporary urban retreat in the heart of downtown San Jose. The Costa Rica Marriott Hotel - is a luxury colonial hotel in San Jose Costa Rica, recognized for its elegance, charming architecture and superb services. Real InterContinental Hotel & Club Tower Costa Rica - Located in San José, this luxury resort hotel has a day spa, beautiful pools and gardens, innovative dining, banquet and event space, a business center, fitness club and Costa Rica vacation packages. The Residence Inn San Jose Escazu hotel - offers ideal accommodations for business or leisure travel to Costa Rica. The Costa Rica Home Pages are useful for holiday planning. Wait in a virtual line at the Virtual Costa Rican Embassy. 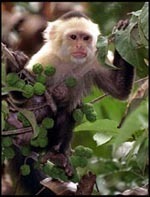 Costa Rica's TravelNET has general information and good stuff on national parks. Destination El Salvador points you in the right direction. The Courtyard by Marriott San Salvador Hotel - is a few steps away from the exclusive area of La Gran Via with its fine restaurants and shops. All rooms have complimentary wireless Internet. There are on-site restaurants, an outdoor pool and 24 hr. gym. Elsalbiztours.com - Central America, an Open Museum of Cultural and Eco Adventures. Personalized tours with a 'personal touch' throughout Central America in English, French, German or native Spanish if you prefer! El Salvador Travel - Tourism Information. Guatamala Travel Mall - Guatemala travel reservations online, hotels, tours, ecotourism, car rentals, airline tickets, shopping, guatemala maps, adventure travel,fishing, maya archeology, and coffee tours. Lonely Planet's Destination Guatemala puts together sassy travel info with maps, pics, picks and pans. If you gotta go to Guatemala, put 1000 Travel Tips on your cyber shopping list. Honduras This Week is notable for being an online news service that's interesting and well-presented. Destination Panama for cultural insights and reliable travel info. Panama Sites - is a bright and bubbly source of information. Panama City Panama Hotels and Accommodations - Discounted rates on Hotel rooms, Car Rentals, Flights, Vacation Rentals. Discountedhotels.com, your complete travel resource. Encuentra24 is a real estate & classifieds Portal in Panama. Bocas del Toro Islands - is a kitschy tour of these islands off Panama's east coast. Nicaragua Hotels and Accommodations - Discounted rates on Hotel rooms, Car Rentals, Flights, Vacation Rentals. Discountedhotels.com, your complete travel resource.